Note: The contradictions one hears in spiritual teachings are not necessarily paradoxes. What’s the difference between a paradox and a contradiction? Not all contradictions are paradoxes, but a paradox contains an apparent contradiction. However, I notice as one progresses up the mountain, things get more and more paradoxical as you start to see two sides of the coin at once. However it’s comforting to know paradoxes are only puzzles to the mind and not in reality. The mind sees in, or spawns, or is duality, but reality sees in unity, resolves paradoxes effortlessly. There are many paradoxes one encounters, or should I say can “glimpse”, along the path towards knowing one’s true nature. As you notice how your experience is formed and get clues it’s not just given by outside events, you start to detect that there’s something rather subtle and and amazing going on behind it all: like getting a glimpse behind the curtain in the Wizard of Oz. Or the physicist trying to pin down a particle with his instruments, and the particle not behaving as a particle or a wave, but both, depending on how he looks at it. Unlike the Wizard of Oz situation however — instead of finding out it’s all just a show run by a particular showman — it’s a show run by… something rather hard to define: Some show-making source we could call “Consciousness” or the formless. That reality, whatever it is, that is reading these words right now. The perceiver of perceptions. The Perceiver-in-Chief as it were. In these intimations of reality behind and beyond perceptions, to the source and ultimate substance that is not a substance but the formless, we start to see many paradoxes: seeming contradictions that belie an underlying unity. The word “paradox” comes from the roots “para” meaning “around”, “outside”, “along”, or “outside of”, and “dox” meaning “belief” or “opinion”. A paradox is understood to be two things that are seemingly contradictory yet at another level actually being both true at the same time. Why are there so many seeming paradoxes in spiritual truths? The short answer is, Reality is One, but the mind deals in duality. The longer answer is, Reality, in order to see itself, creates a not-self. Sort of like an invisible magician of infinite power existing in a universe of pure potential of it’s own making, gets bored and decides to see if he can see what he looks like. So beings come into existence, but for something to appear as if it’s separate, there has to be distance, thus space, and that implies time to traverse space if you are a aprt of it and not the whole thing. Reality, that absolute one-ness, in order play the game of life, that is, have an apparent universe, time and space, an apparent separate self, and therefore a non-self, and endless objects of consciousness, must have duality for there to appear to be anything. So a point of view arises we call ourselves. It seems to have some kind of linear existence, and makes language to help put thoughts in forms for seeming others. So of course language is linear, but nonetheless can evoke the nonlinear. (That’s why we have poets and artists: the perfume of the absolute, if you will: truth love and beauty are qualities of what Is). 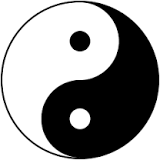 The Tao that can be told is not the eternal Tao. The named is the mother of the ten thousand things. Ever desireless, one can see the mystery. Ever desiring, one sees the manifestations. 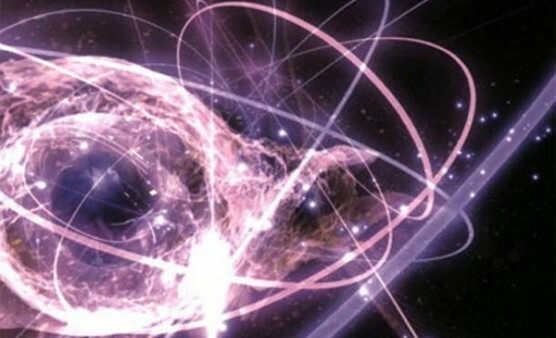 Like subatomic particles springing forth as opposites from nothing (which has been observed by physicists: it’s called Quantum Vacuum Energy), the play of opposites is what at every moment is creating an apparent world. To go from nonlinear, unchanging reality to linear appearances, you need differences, measurements, change, up and down, light and dark, negative and positive, near and far. Movement. Love has no opposite, but in world there appears love and hate. In the world there is flux and the rising and falling of all things. A sage knows there are no-things and that he or she is no-thing. At moments an ordinary mortal can get a glimpse that unifies the opposite: a sense of something insensible and invisible, that shows truths that transcend opposites. But since these glimpses are timeless, and the mind deals in time, it cannot hold on to them, except as images, sounds, or feelings in consciousness. Feeling a failure at something that takes one beyond success and failure, making so many mistakes when there are no mistakes, feeling flawed and wrong for feeling flawed and wrong, wanting to use the head to get out of the head. Does the universe have self-esteem problem? The artist wants beauty and perfection, but physical life comes up short. Going beyond the body, realizing one is not a body, (seemingly) via the body. Yet we are all, at the same time, unique expressions of what is ultimately just One, appearing as infinite variety and diversity. Difference in unity. In any case, I thought it would be interesting to start listing (I like lists) some of the paradoxes my mind spit out along the “pathless path” (the direct path). • You’ve probably laughed at this paradox: “trying” to relax. • And the mental state of meditation offers another seeming paradox: Don’t focus or make an effort – just relax the attention to allow a de-focused state. This state is natural and pre-existing. • And the likewise funny paradox of the time it takes, or rather think it takes, assume it takes, believes it takes, to realize one’s true nature: if you go to enough retreats, meditate long enough, spend enough time and effort in practice and seeking, through time you will realize the timelessness of yourself (what is). It was all a charade. You can throw away the scaffolding you needed to get where you already are. • Causeless happiness will be caused by doing stuff (such as meditation, loving your guru…). • Seeking is what is keeping you from finding what you are seeking. Your best, truest, highest self is when you stop stop seeking your best, truest, highest self (so don’t hold on to anything, and surrender what didn’t exist in the first place to God). • By losing yourself you find yourself. • All the effort it takes to realize effortlessness – effortless awareness, effortless doing, effortless manifesting and effortless enjoying… how exhausting! Your evolution and change are grounded in the timeless and unchanging. It points to the most subjective thing – the self-created nature of our experience – yet allows you to be more objective. It’s easier to grasp or learn if you don’t try too hard. When you relax, you can get an “Aha!” moment, and see a self-evident truth in an instant. To change something about yourself, you have to stop trying to change it. This is called acceptance. The only way to change anyone around you is to realize it doesn’t matter if they change or not. This is called acceptance of others. The less results matter to us, the more likely we are to live in the present and create them. This is called detachment. Talking about the Unknown can only happen via the known. At the highest level, this is called mysticism. The more we give up the more we get. The more we give the more we receive. You are giving to your Self (there are no others). You are ultimately responsible for your thinking but not Thought itself. This is called the personal and the Impersonal. You find yourself when you no longer know who you are. This is called the True Self. To try and end your suffering, don’t try and end suffering. Don’t give it a Second thought. This is called Letting Go. Thought is not Reality. Yet it is the only reality most of us know. This is called the Great Illusion: everything is made of Conscisouness (or Mind if you like), so even illusion has reality. Our experience is a real illusion. An act of free will is fated. It is fate for you to have free will. Get over it. Even in the seeming imperfection of life and ourselves, there is the grand play of the whole, which is perfect, infinite, and complete. This experience is called being human. (That is enlightenment! Even though there is no such thing, HAHAHAHAHA…). The paradox about paradoxes is that they aren’t paradoxes until they are: unless one is seeing from a perspective that shows how a particular paradox is a paradox, it doesn’t appear to be a paradox, it just sounds like a contradiction. So a paradox is both paradoxical and not paradoxical at the same time. There are many, many more… these were just what I thought of when I wrote this. The great Western philosopher Immanual Kant presented what be termed “Antinomies”: timeless opposites that can’t be avoided when trying to understand the absolute in terms of the relative, time in terms of the timeless, etc.